Many times, Aaron and I have contemplated selling everything and sailing away – at least to a place where we can keep Clarity in the water year round. And while that’s still very much a consideration, when family comes to town and the weather stays favorable, summer in Chicago is magic. 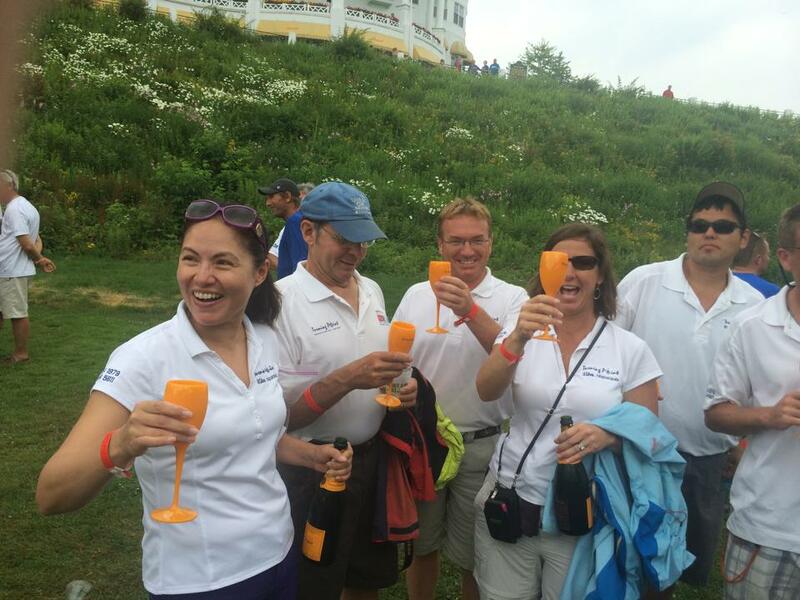 See pics from our holiday weekend here! 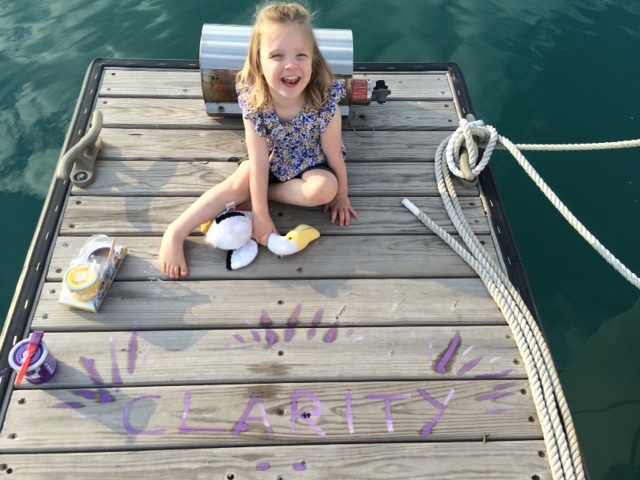 This past Independence Day weekend, we had a full family crew on board Clarity. Aaron’s mother, Penny, and her husband Brian, were the first to arrive last Wednesday, driving in from Michigan. Then, on Friday, July 3, my brother, sister-in-law drove in from Indiana with my two nieces, and my mother also joined in the fun. We all convened at 31st Street, where we took a quick dip in the pool before casting lines. Out on the lake, Aaron and I were able to show our families what we love so much about this life. 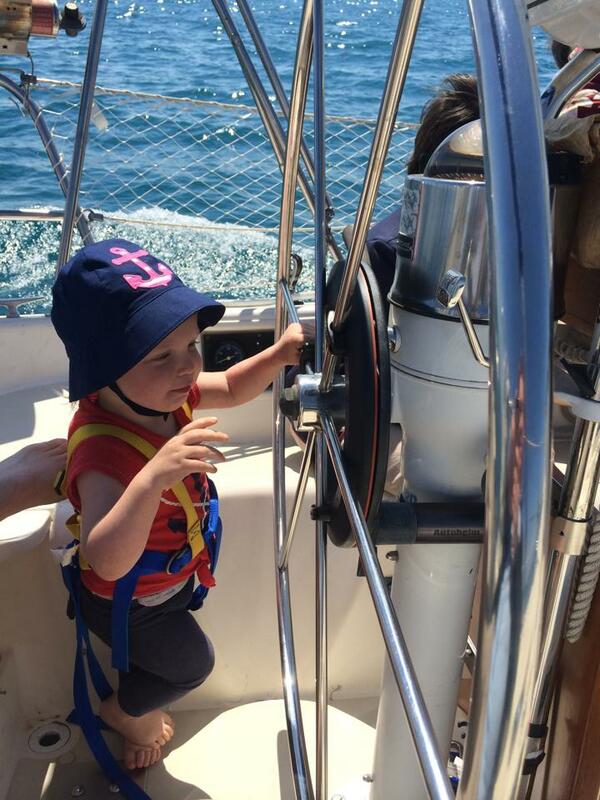 We hoisted the sails and had our crew take turns at the helm. The girls snuggled up down below with toys and books, and the adults savored views of Buckingham Fountain, Navy Pier and the skyline that so few experience. After a few hours, we made it to the yacht club just in time to snag the last spot on the dock, then laid out a spread for dinner that deserved its own Zagat rating. Aaron, Claire and I stayed on the boat at Columbia while our families got some rest to gear up for the 4th. A lazy morning on the dock led to bloody marys on the bow of the club ship with Penny and Brian, then the 10 of us came together again for a walk through Maggie Daley and Millennium parks. Before the fireworks crowds completely clogged the lakefront path, we made our way back to Clarity and shared wine and cheese while waiting for the sun to set. The club is the best place to watch the fireworks, which are set off from Navy Pier just north of the ship, and they did not disappoint. Many thanks to Claire, the three of us slept in Sunday morning, then sailed the boat back to 31st Street for donuts on the dock with Penny and Brian. We spent a lovely day poolside – the fifth in a row with high temps and no rain! – before they, too, headed home to Michigan, and we were once again the three musketeers. I forget sometimes how lucky we are to live in a place that allows us to indulge in our dream while still being close enough to share it with those we love. What a wonderful celebration of our freedom. Oh, the laughs they had with a bucket full of water! One of the best benefits of keeping our boat based in the Midwest is the ability for us to share it with family and friends. Last week, we had the pleasure of having my brother; sister-in-law; nieces Alex and Abby; and my mother out for a family sail. They met us mid-morning at our slip at 31st Street Harbor and we made a quick tour of the splash pad and playground before grilling brats back at the boat. 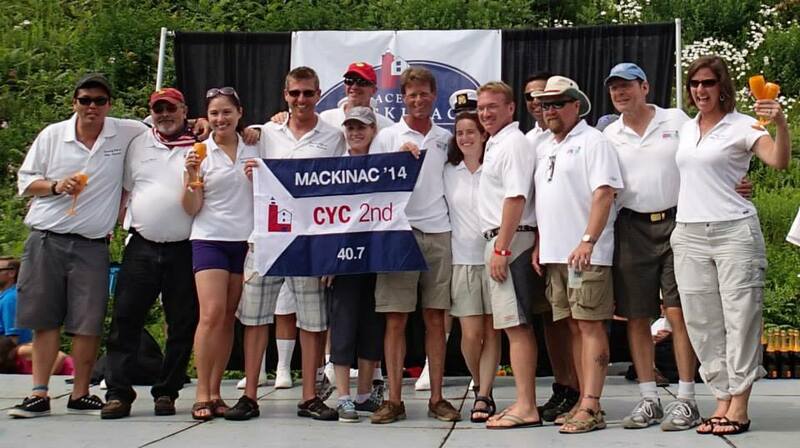 Then, with full bellies and abundant sunshine, we cast lines and pointed north toward Columbia Yacht Club. To be honest, I was a little worried leading up to the visit that my nieces might be bored while we were at sail. I thought through whether or not we had enough toys on board, how to shorten our course if they got antsy a half-hour in… Aaron and I spend so much time on our boat, and it’s been so many years since I experienced boating as a child. That afternoon, these girls truly opened my eyes. The whole afternoon, they were up and down, over and over, from the deck to down below – at first, I thought they didn’t enjoy being out in the fresh air, but they were just so excited to be able to go down below – in a boat – while it was moving! How could I have forgotten how awesome that is?! They dragged as many toys as possible to the aft cabin (Claire was napping in the v-berth) and played with stickers for hours. They snuggled up in the covers with an arsenal of snacks, and ran around the salon and giggled as they tried to keep their balance when the boat heeled. And while they ran around down below, their parents (and grandma) got some coveted uninterrupted time on deck to simply enjoy being out on the water on a gorgeous day. Shortly after we left the slip, Aaron and I raised the sails and tried to find the wind, which was spotty at best and petered out pretty quickly to almost nothing. I shrugged my shoulders and lamented that we were going painstakingly slow, and my brother said, “Meg, we would have no idea! We are just loving being out here!” Sure, us sailors want to make the boat go fast – but sometimes we get so obsessed with trying to eek out that last half-knot that we forget to pause and enjoy the sights, take a deep breath and just float for awhile. 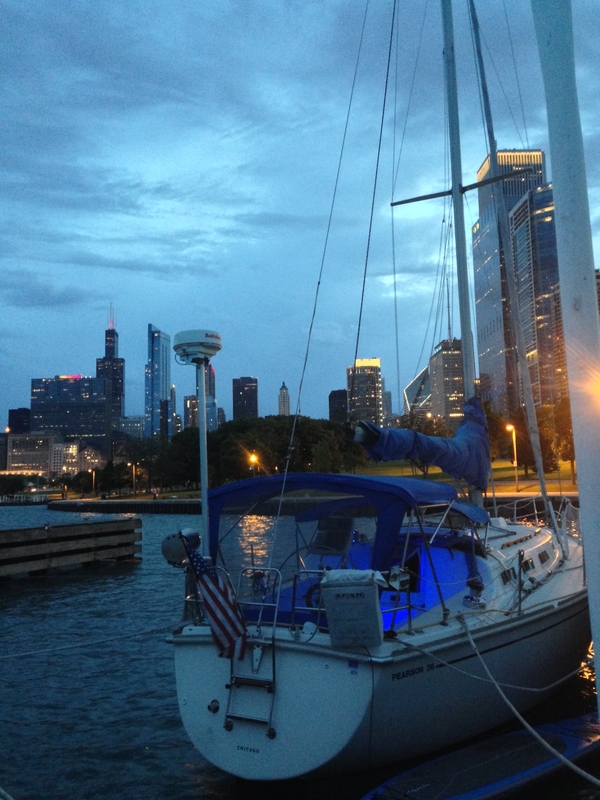 We did a “drive-by” of Navy Pier before tying up the boat at Columbia. Claire taught the girls how to dance around on deck to Jimmy Buffet and we filed into the club for a brief reprieve in some air conditioning. Then, we grazed on leftovers from lunch and as the sun was setting, settled in to watch “Muppet Treasure Island” as it was projected on the side of the club ship. It was a beautiful day in every sense – lifelong memories, to be sure. And a wonderful reminder of how blessed we are to be able to share this. As we speak (or, I write), Claire is sleeping, my tea is steeping, and all I hear are the soft and soothing sounds of the boat tugging gently on the dock lines. We’ve made it through the first two weeks! 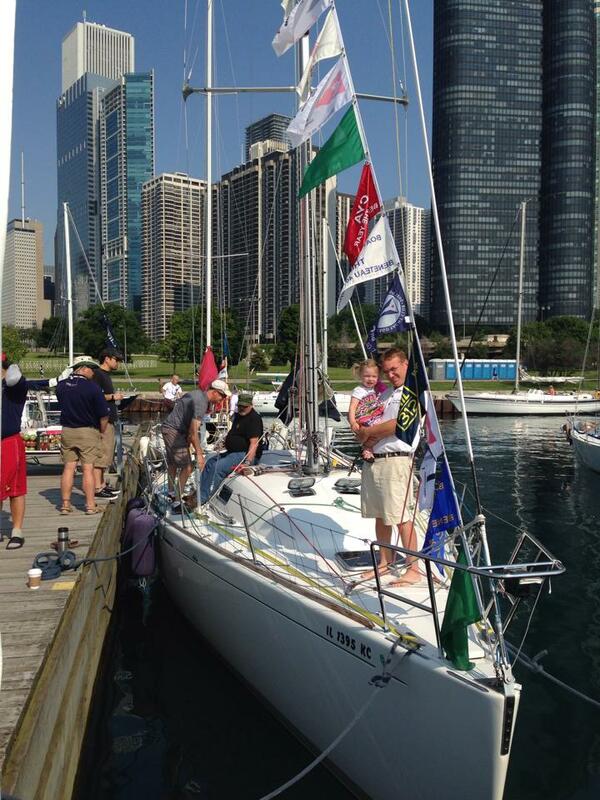 As a family, we’ve spent six days on the boat (with a few stops to Oak Park sprinkled in). We’ve taken Clarity out for a short motor cruise, a lovely afternoon sail with friends and over for a sleepover at the Columbia Yacht Club docks. 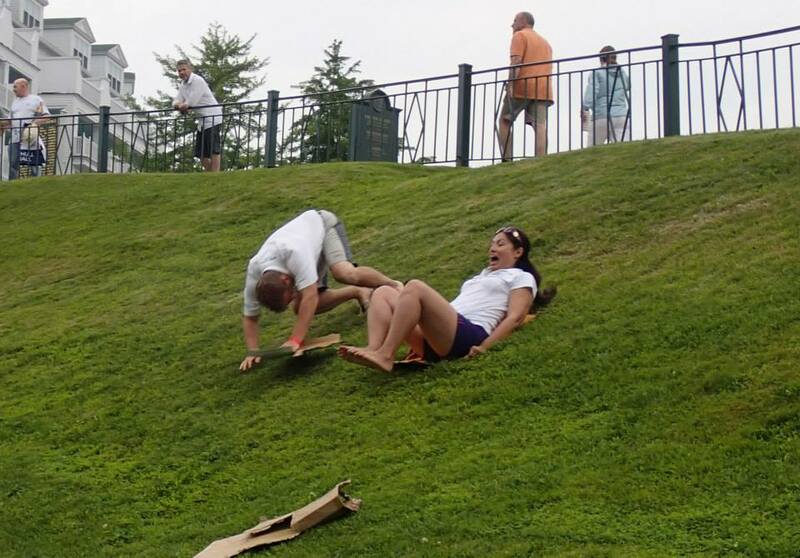 Here at 31st Street, we hosted a lovely Memorial Day BBQ with close friends, made countless trips to the park and spent so many hours pushing Claire in the swings that I’m pretty sure her name is etched in. These first few weeks instantly reminded me of everything I love about this life – and also reminded me of some of the challenges as we find our routine. For example, Claire has yet to succumb to napping on the boat. (How can you possibly nap when a duck could be swimming by right outside your cabin at any moment?!) The silver lining is that she goes down pretty easily at night, for the most part. I’ve also been reminded that the confined quarters combined with my propensity for clumsiness creates a beautiful bouquet of bruises on my legs. Sailing, however, will be a whole different ball game this season – in amazing ways and tough ones, too. That first trip out, strapping Claire into her harness and heading out past the break wall, we weren’t sure what to expect (she’s double her age now and a real little walking talking person). But Claire was mesmerized – by the boat slicing through the water, boaters waving as they passed by, the breeze on her face and her delight in the always-dependable double-horn of the lighthouse. 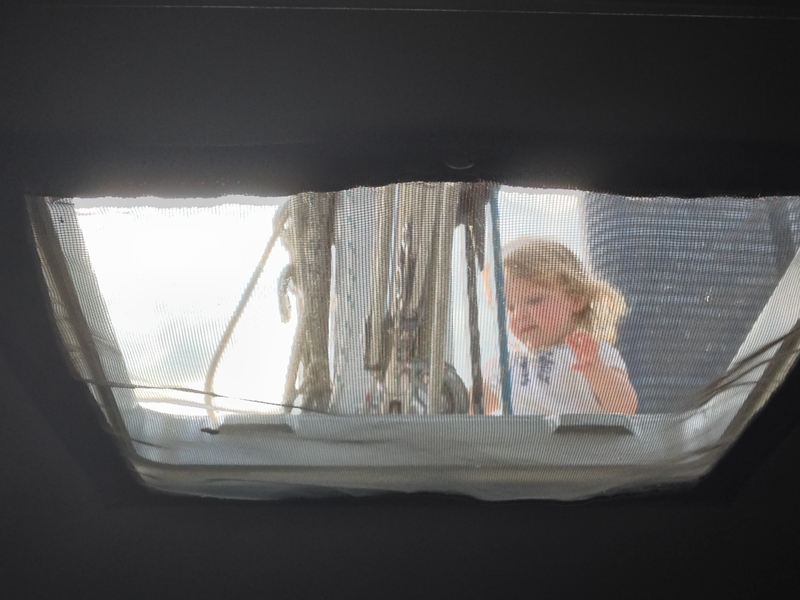 She wants to be a part of everything – which gets tricky when she tries to climb back and grab the wheel while Aaron’s driving, or asks (not quite politely) for me to pick her up right when I’m about to blow the jib sheet for a tack. 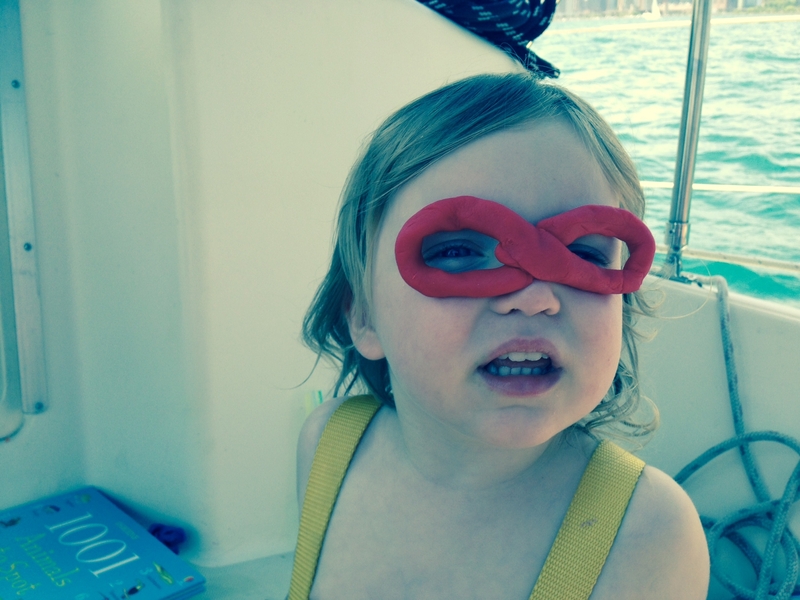 A word to the wise for those who plan to go boating with a toddler – don’t hesitate to throw Cheerios at the problem. We’ll find our groove, though – after all, Aaron and I are remembering so many things from last year, but given that she’s only 2 years old, Claire doesn’t really remember. She’s learning fresh! And the best part is that through all of these experiences, we grow as a family. For now, I’m going to sit back, revel in the quiet, snuggle up in our cabin with a good book and drift off. I must conserve my energy for tomorrow’s adventures.